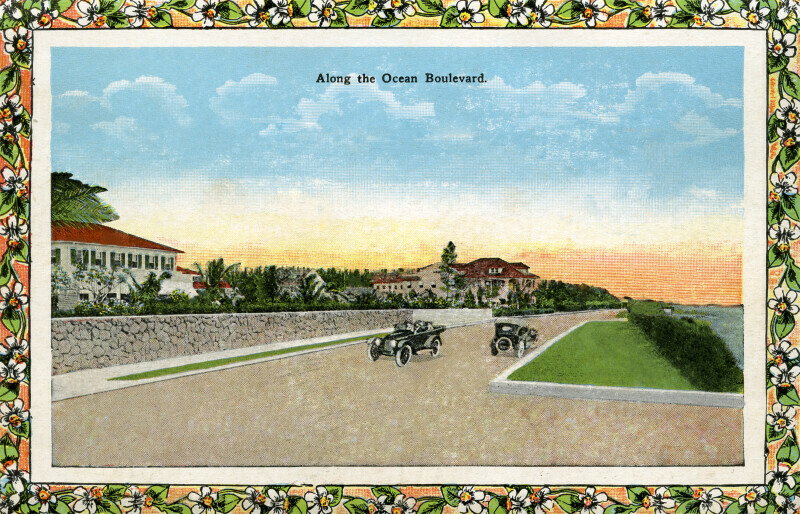 This image shows two vintage automobiles driving along Ocean Boulevard. There is a stone wall running along the street, with houses behind it. There is a sidewalk on the near side of he wall. To the right of the road, the ocean can be seen.